"I guess if I had any advice to give to an Evan Hansen or a Connor Murphy is to try and realize that this point in your time, wherever you are, is short‑lived and everything comes in seasons and happens in seasons and that’s life. Life isn’t about finding out who you are. It’s about creating who you are and part of that creation is a wall. There is a bad place. But you just got to buckle down in those tough moments and keep going." "So in Connor’s instance, he puts up walls because people put him in a box. For him it’s an opportunity for allowing Evan to see who he is and there is miscommunication and unfortunately, Connor dies and it’s sad because the audience doesn’t actually get to know who he is." יש מצב שאתה שולח לי קישור לשירשור? 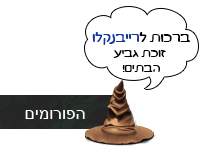 אם אנימות זה החיים אז מה זה מנגות? החיים כפול שתיים! ווקאלויד זה נהדר, זה אוויר לנשימה. כל אלו שלי. לא לגעת. 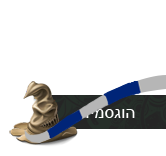 טצ'.